Last Friday, I did not find time to do my normal weekly shopping. I was too busy with canning and taking care of kids. I didn’t seem to be out of very many things, so just kept cooking with what I had, and had Patsy make a list on the whiteboard of things when I ran out of something. I rolled the weekly grocery money over for another time, as I know not buying groceries is not sustainable, and I will need to re-stock sooner or later. I ran out of some things I wasn’t expecting, such as baking powder and baking soda. 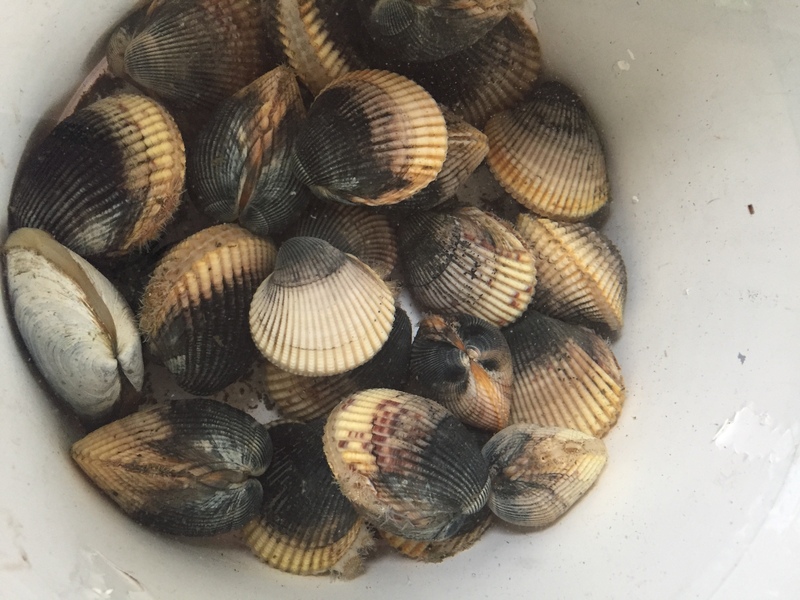 Thankfully, there was some in the camper, and I just continued cooking up a storm. I soaked and cooked a large amount of pinto beans. Most of them, I froze for later. I made a small batch of chili from the rest. Patsy was in a cooking mood. She made gluten-free calzones one day, and tamale pie casserole the next. Both recipes were very good, and used items we had on hand. She got the recipes from Pinterest, and enjoyed looking at all the choices before she chose those recipes. She picked wild blackberries from my sister’s house and made a crisp with them. She also froze a few more for later. Garden produce played a large part in my menu plans this week. 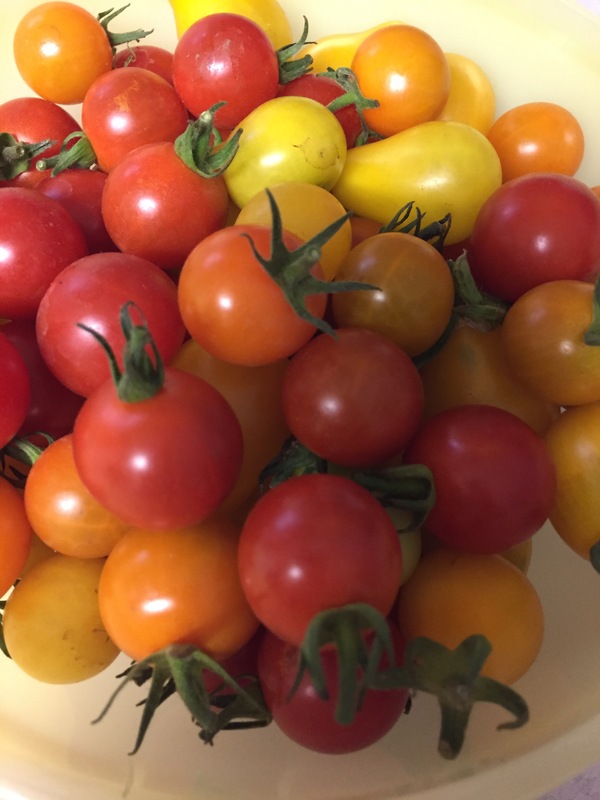 These cherry tomatoes were picked at my sister’s house. She has a LOT! I am getting a few from my bushes, and plenty of regular tomatoes. I picked and served corn a couple of times. The earliest variety of corn I planted is almost finished. Boy, was it good, but I only had space for a small square area of each planting. 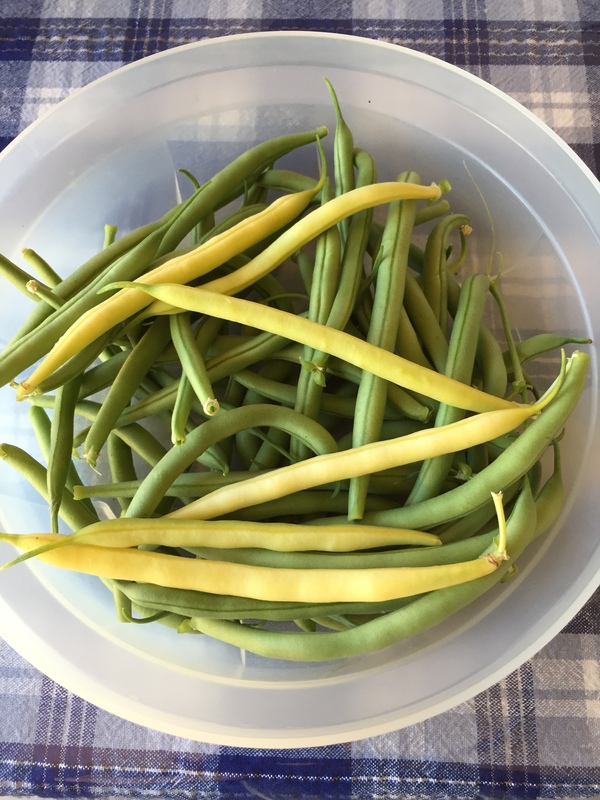 The green beans are still putting out a handful every few days, but are almost finished. 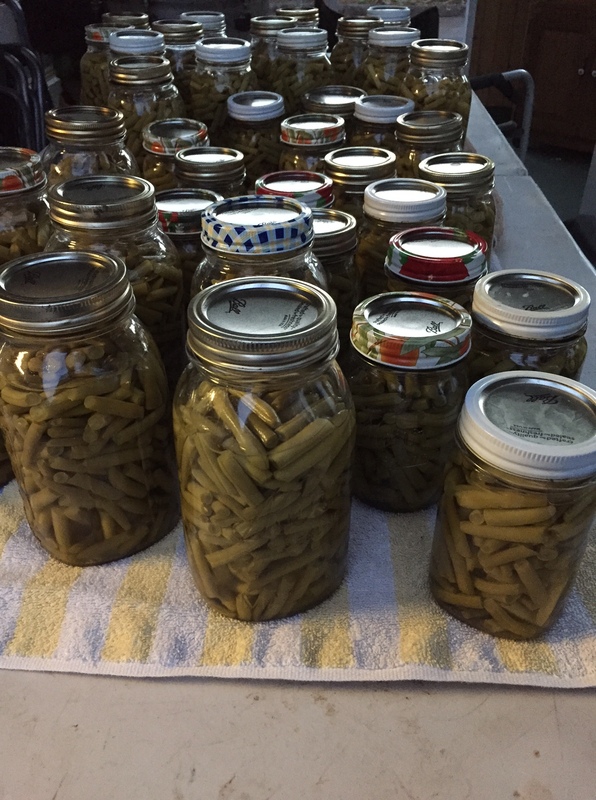 I ended up freezing a few quarts, and we ate beans a couple of times. I picked the last of the lettuce that was ready and am waiting for the next succession planting to get big enough to eat. I have 2 more small plantings growing, and a third that just came up to take me into the fall. 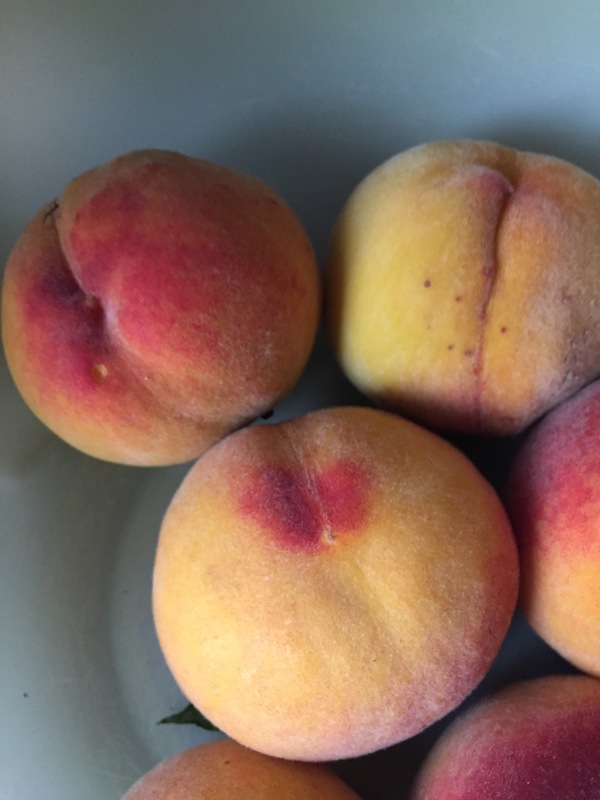 The peach tree in our back yard has been providing us with plenty of peaches. I made more jam and keep freezing more every few days. We are eating sliced peaches frequently. We spent yesterday up at my sister’s farm. 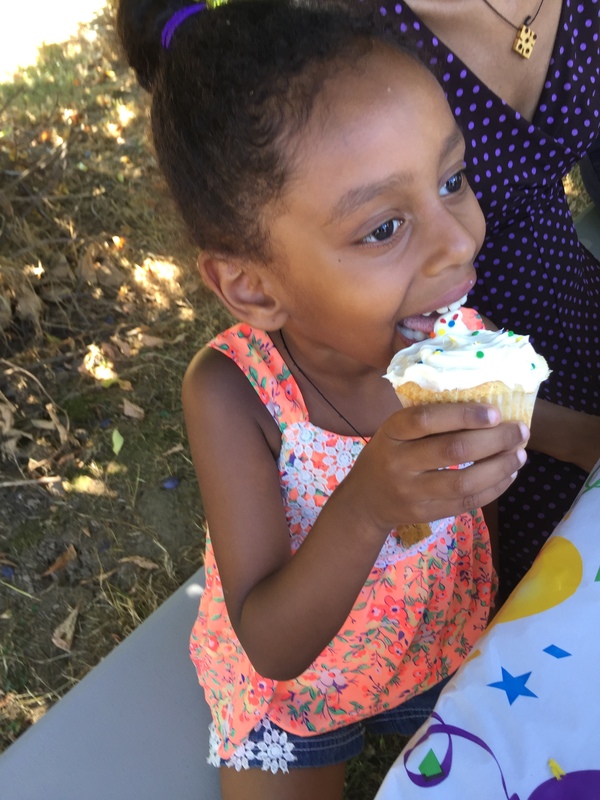 The menu was taco bar, watermelon, and birthday cupcakes for our friend, Harnet’s, birthday. 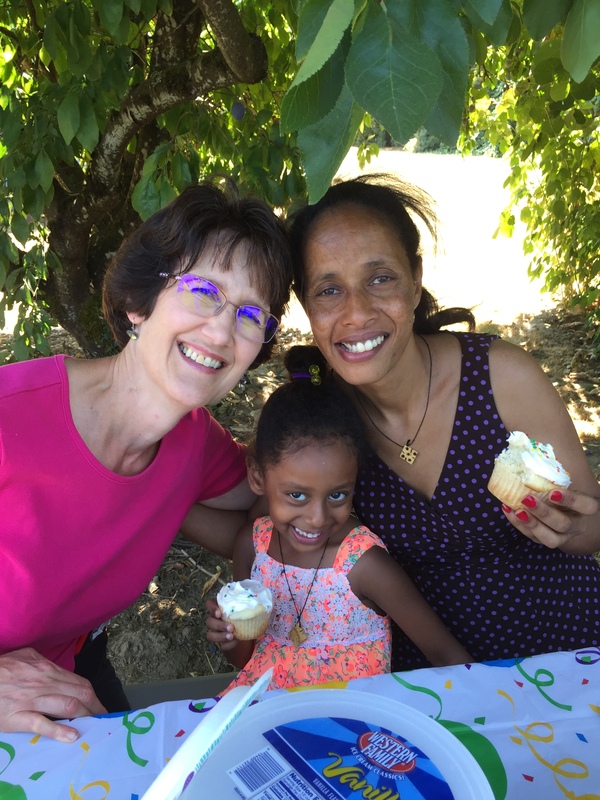 Everyone brought something, and we had a lovely time eating, visiting, and taking turns helping at the u-pick peach stand, as they were open for business! Yesterday morning I ran out to the store very early, as I was down to about 1 cup of milk. I ended up spending $30 on whole wheat bread, milk, celery, baking powder, baking soda, grapes, garlic, and a few other things. I was very pleased that I only needed that many groceries after 2 weeks! That garden is really paying off:). We will do the same this week as we did last week–just make a list as we run out of things while focusing on eating garden produce. I would not be surprised if I went back to the store in a few days to re-stock a few items, but I’m not sure which day. I’m just setting the extra money aside and will go to Costco one of these days for a few things I usually get there. I like to get 5-dozen packages of eggs there, and am getting low. My sugar supply has also taken quite a hit with all the jam I’ve made, and I’m going to get 25 lbs. either there or at Cash and Carry. It’s a busy time of year, as I get all of this produce stored away for winter, but I wouldn’t trade it, as I enjoy it so much! I will, however, not turn down a nap if I can ever carve out the time for one:). We’ll see what today brings. That’s just my harvest from today! Over the past week, I think I’ve picked around 35 zucchini. 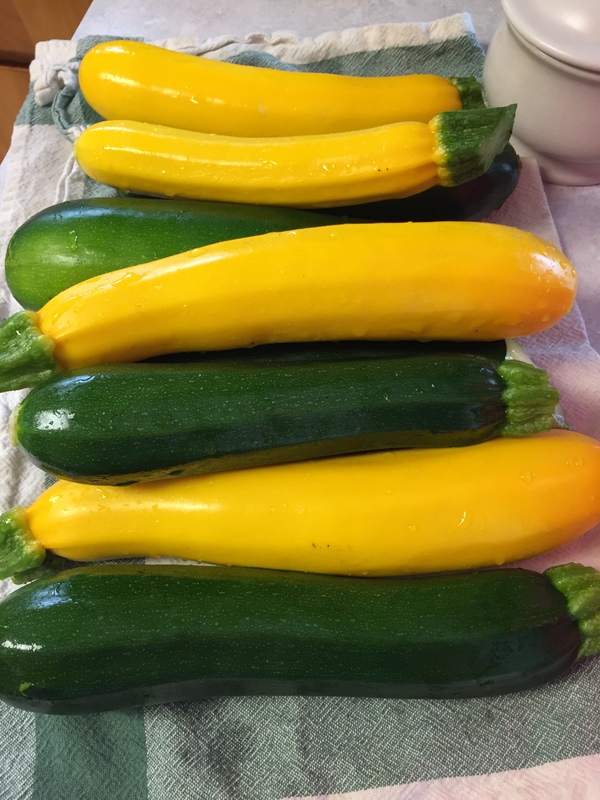 I have shared many, many zucchinis, served them frequently, and still have a bunch. Tomorrow, I have a day off and hope to preserve some of them. 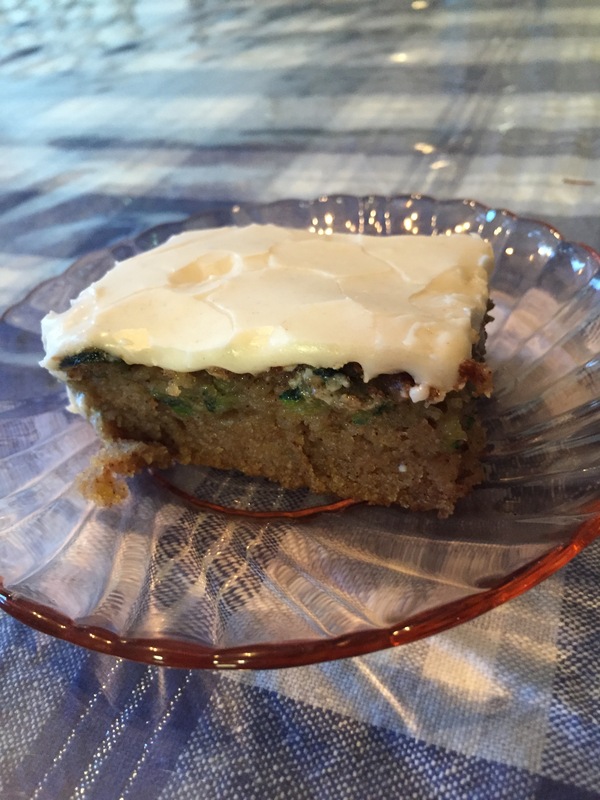 We have had mixed grill basket, stir fry, zucchini bread, gf zucchini muffins, and zucchini cake with browned butter frosting (thanks to Lovana). I found 2 turkey drumsticks in the freezer. They were from our old house! It was time to use them up and then some. I found a recipe in the Fix and Forget It (For Entertaining) cookbook and made it. 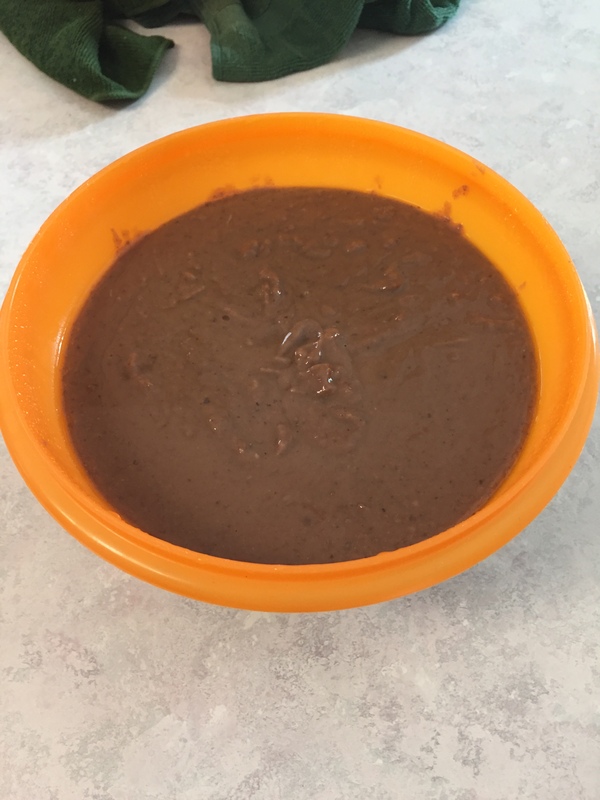 It was a BBQ sauce with 1/2 cup ketchup, 1/3 cup molasses, 1/4 cup white vinegar, 3 T Worchestershire sauce, 2 T dried minced onion, salt and pepper. 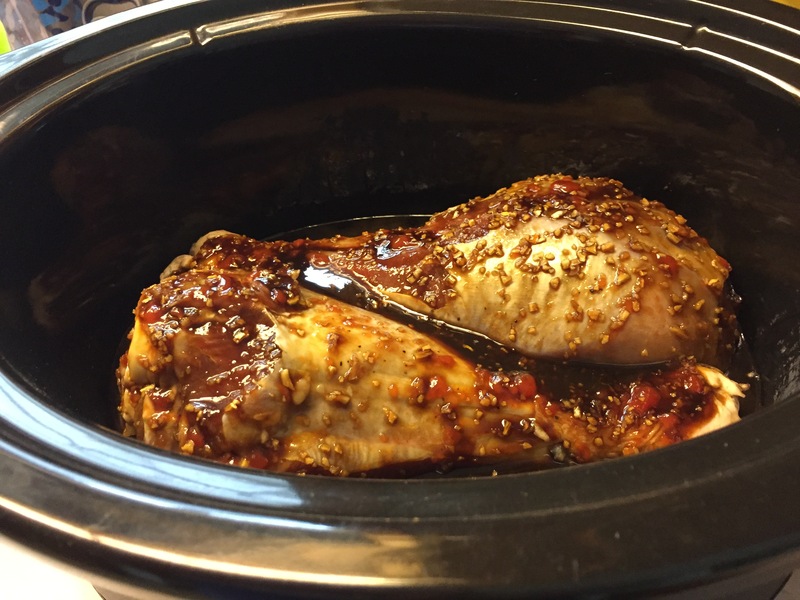 I sprinkled the drumsticks with salt and pepper, mixed the other ingredients, put the sauce over the drumsticks, set the Crock Pot to “low” and left. 5-6 hours later, it was edible, and I ate some for lunch, but let it go another 2 hours and it got more tender. I picked the rest of the meat off the bones and put it and some of the sauce in a bowl and put it in the fridge for tomorrow. On that same trip to the shop where I was digging into the freezers, I found some pork from our old house, as well. I marinated it in olive oil, mustard, salt, pepper and a sprig of rosemary. Rob grilled it tonight, and we ate part of it. He also did chicken drumsticks, and we ate part of them, too. Now, I have main dishes for the next 2 days, and maybe more. There are a few more things in the freezer that need to be targeted another time. We also got out some beef brisket that we have not known what to do with. When we bought 1/4 beef, it came with it. We’ve bought beef for years, and did not get this cut, but the last 2 times, we have. 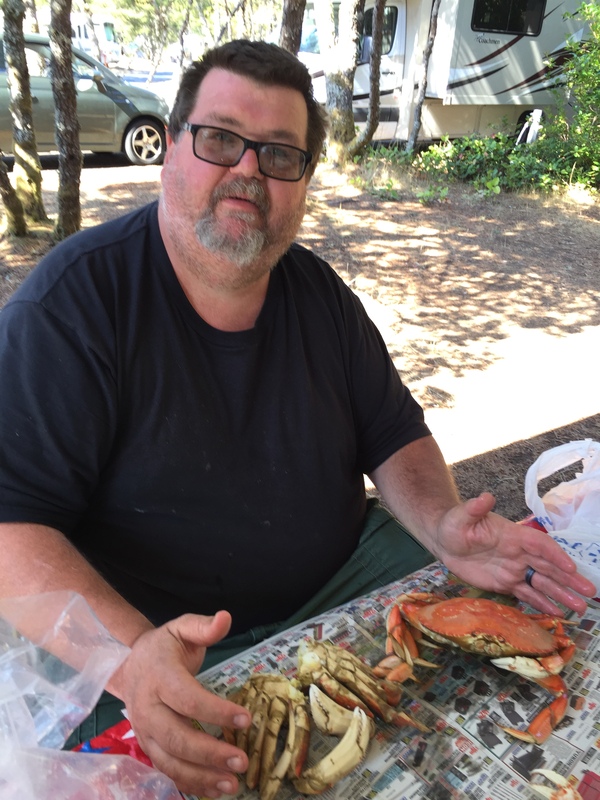 So, Rob’s been looking on-line and in cookbooks, and is ready to tackle it. 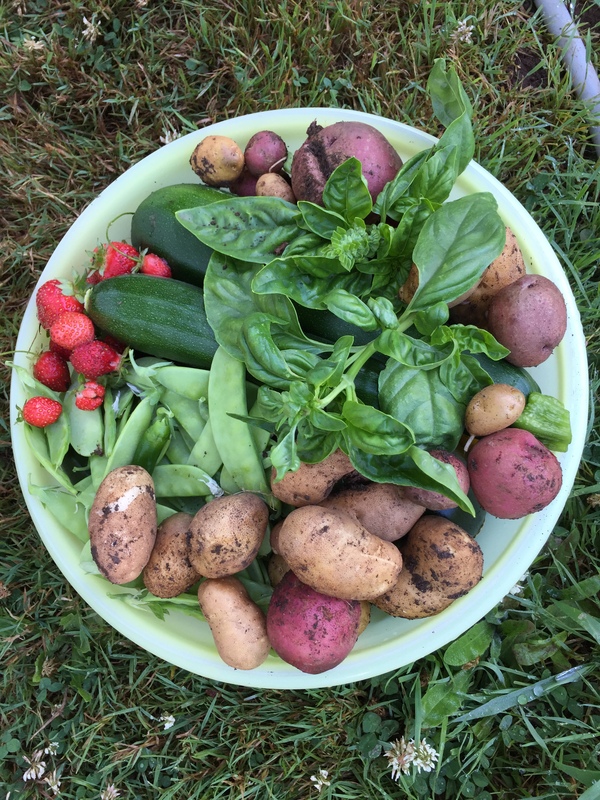 I have been picking lots of veggies from the garden. The potatoes are the ones that grew all by themselves in the compost heap. 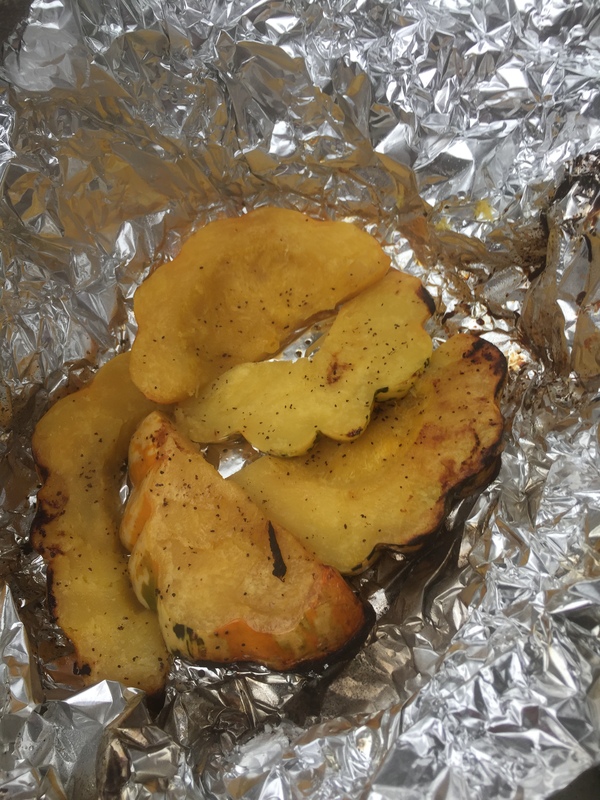 I cut them into chunks and roasted them. I cooked some garden carrots in a little butter and apple juice for lunch. I’ve been freezing all the little bits of strawberries I collect. I just drop them into the freezer bag. When it gets a bunch in it, I’ll start a new one. I will have lots of strawberries frozen by the end of the summer, if all goes well. I got about 2 Tablespoons of shelling peas today. I’m shocked and amazed that snow peas are still growing, despite the heat wave we’ve had. I’ve been skimming the beans, and have enough for tomorrow’s meal. I did lose some blossoms in the heat, but am going to have lots. I cut what I thought was tons of lettuce a few days ago, but I realized today that we have eaten almost all of it, due to the many salad suppers we had when it was so hot. I have a few more heads to cut, then will have to wait for some little lettuces to grow. I’m hoping to plant even more seeds in the next couple of days. I’m very happy because I was able to eat or share much of this batch before it bolted. 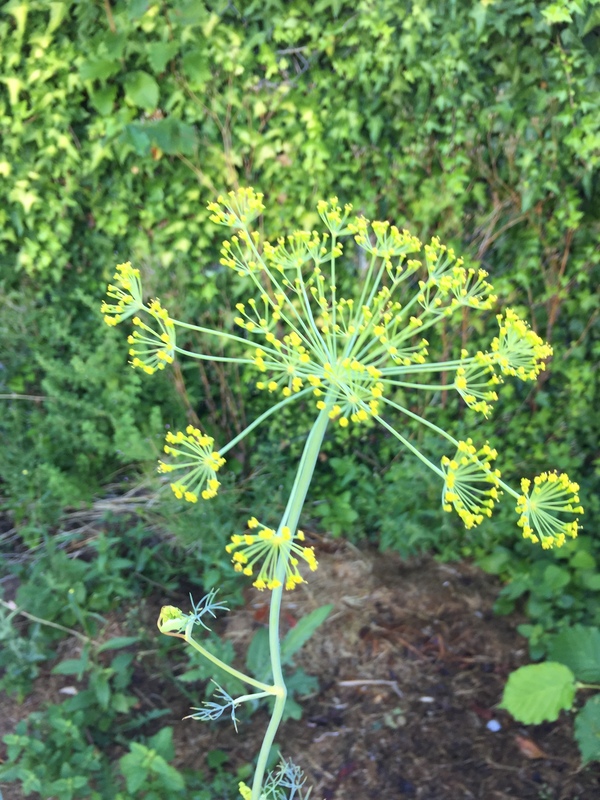 There are a few bolted plants I did leave out there from the first batch–hopefully, they will self-seed and I will have volunteers, or I will collect some seeds. The tomatoes are just starting. What a treat! We cooked for the college-aged kids on Tuesday, at church. It is a fun group to cook for. It seems that no matter what we make, it’s “their favorite” and they slick it up. 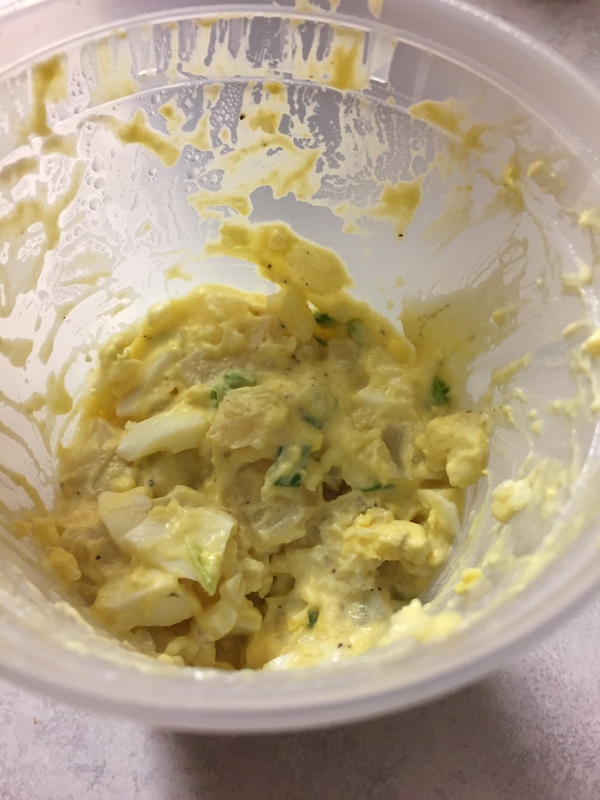 We served salad bar, with toppings for both taco salad and chef’s salad, pork and beans (cold, right out of the can), deviled eggs, zucchini bread and gf zucchini muffins, and watermelon. It went well, and they loved it. It was very hot, and it hit the spot. Of course, we ate with them that night. This account would not be complete without eggs. 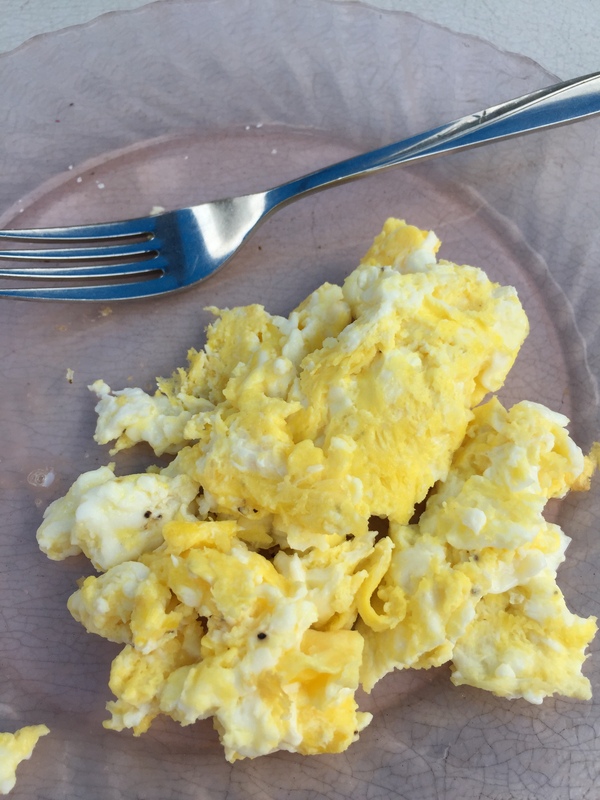 Just plain, simple eggs, scrambled with salt and pepper. I was able to get eggs for 99c/dozen and bought 5, just for us. That does not count the 3 dozen I turned into deviled eggs for the college kids. Jake decided he is in a mood for eggs. He has had scrambled eggs more than once this week, and today ended up eating 4 eggs, total–first I scrambled 2, than 2 more on request. When I got him into the car after our early morning swimming excursion, he gravely explained that he had not had a single thing to eat today, and was HUNGRY! The last time he told me that, he meant he had eaten nothing but DONUTS, so I didn’t take him too seriously until those 4 eggs went down the hatch. Rob did pick him up very early, and then took him to the pool…. The one thing you don’t see us eating lately is food from a restaurant. We just aren’t going out, even for French fries. It’s been a few weeks now. It’s been a little hard on Jake and Michaela without the McD’s, but they are getting used to me skipping it. We (their mother and I) agreed before Rob’s job ended that it would be better for them to eat less of that food, and boy was I glad we had already decided that when his job ended. It’s been good for both the budget and the waistline. Rob and I will go out to eat for a date soon, and enjoy every minute of it, and we will take the kids for a treat sometime, but I really want it to be a treat, not an expectation and not too frequent. Before we left for camping, I grabbed whatever I could from the garden and fridge. There were some sad and sorry carrots, the end of a bunch of celery, some nice fresh snow peas, and an onion. 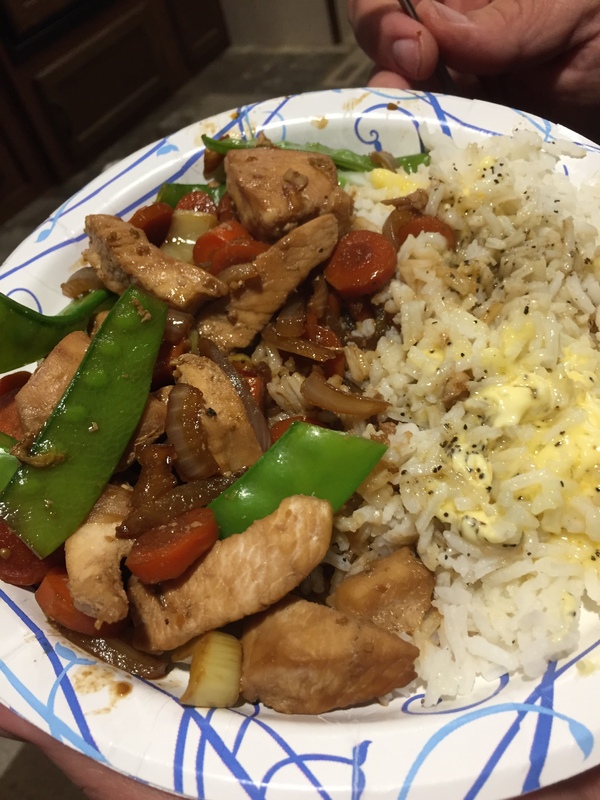 I made stir fry and cooked some white rice I unearthed in the camper cupboard. I did go to the store and buy another fresh bunch of celery and a few carrots. Jake ate 1 piece of chicken under duress, and 1 snow pea, and noodles. 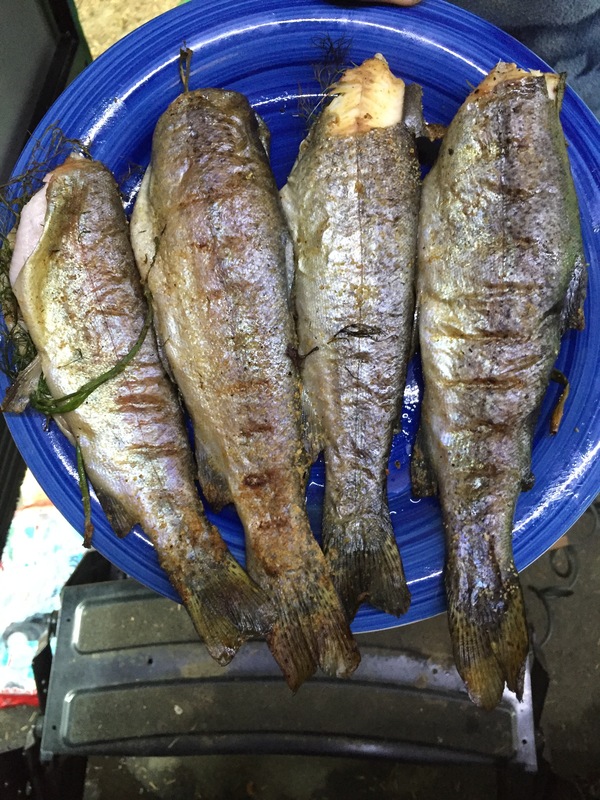 Since we are camping this week, we got to enjoy trout, fresh from the lake. 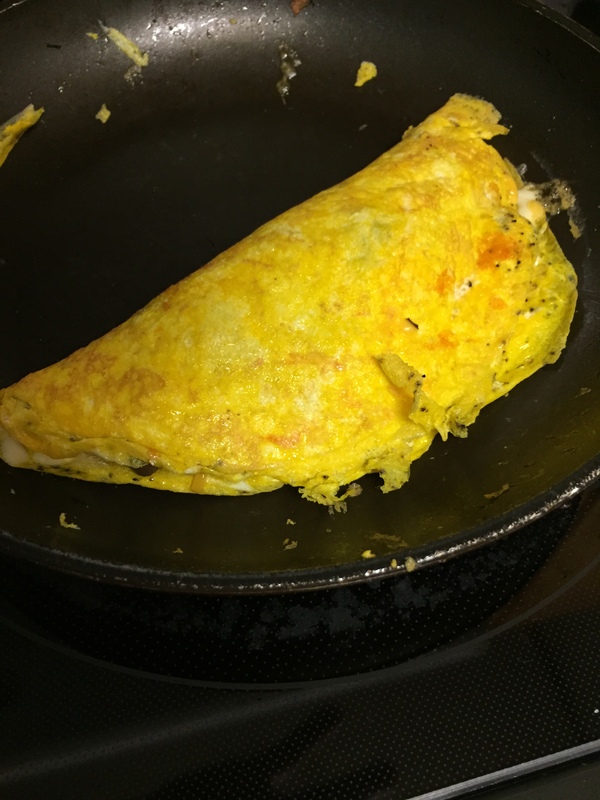 The first one I fried in a pan for breakfast. These 4 got better treatment. We put fresh dill from the garden in side, along with Lowrie’s seasoning salt, and Rob grilled them. Yum! Jake ate 1 bite of trout under duress, and noodles. We had some hot dogs, so grabbed those, of course. We had to buy marshmallows to roast. There were none in the camper cupboards. That’s probably a good thing. Last summer’s marshmallows don’t sound very tasty to me;). We just went without chocolate bars this time. Jake ate noodles and bread. We also had lots of cereal from the camper cupboard, plus various bread products I grabbed from home. Jake was on a Top Ramen and Cup-o-Noodle kick, and wanted bread, bread, bread with butter, butter, butter. We’ve used almost an entire tub of “I Can’t Believe It’s Not Butter” I got on sale before the trip. I was happy to buy another loaf of 100% Whole Wheat Bread for him. It’s better than those noodles for him. 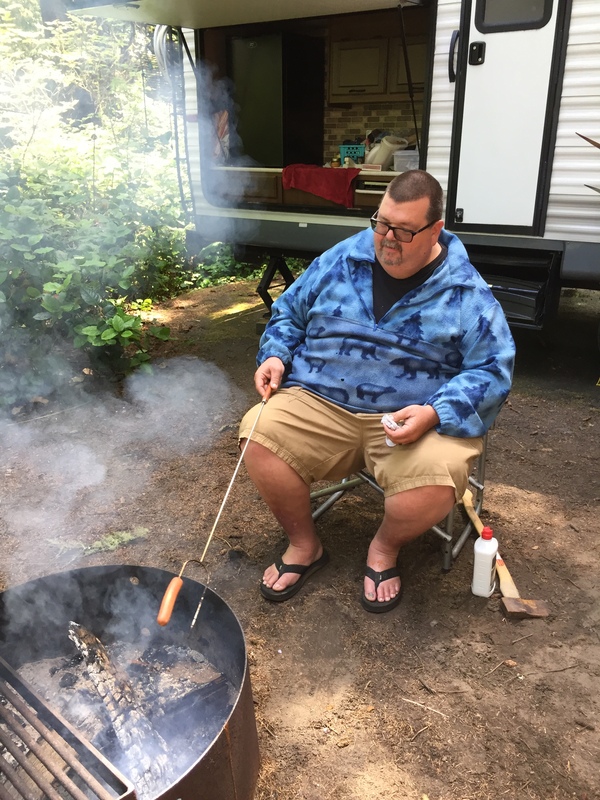 As I cleaned out the camper cupboards, things like a few pieces of hard candy, some cookies, a hidden package of Bugles, and other treats were revealed and wolfed down. I made some cookies from chocolate chips that had seen better days. Anything that was really, really over the hill went to the sea gulls, so provided entertainment of another sort. Jake ate Bugles and cookies. I put oatmeal in the cookies, so felt pretty good about that one. 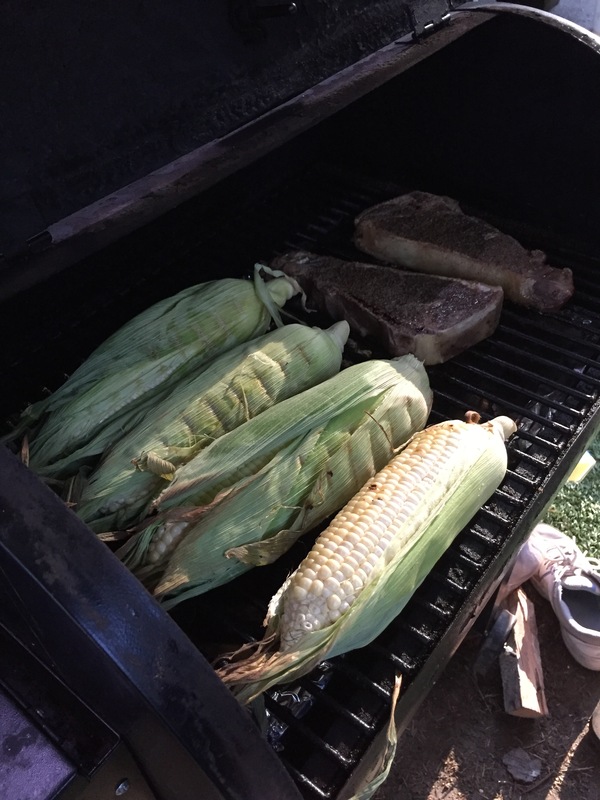 Rob grilled a couple of steaks from the freezer and 4 ears of corn Jake talked me into buying at the store. He ate noodles and bread with butter. 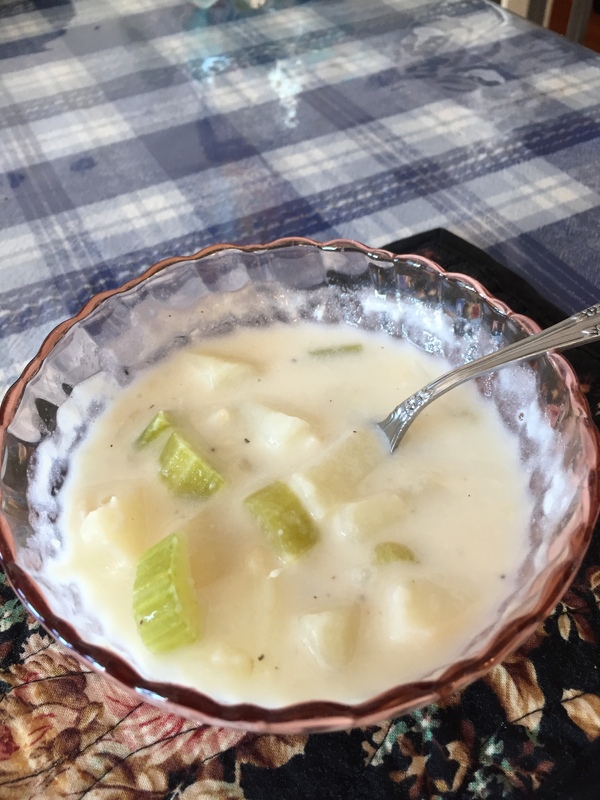 I made one simple soup from the end of the sad carrots, celery and bullion. I put rice in it, too. In the end, we ate like kings and queens. I spent a little grocery money, and we did go out to eat one time with the coins we saved in a tin can for that purpose. (Thankfully, Rob changed it into bills before we left–it would have been awkward to take that many coins to a restaurant:) ). We went to a pizza place for an all-you-can-eat salad and pizza buffet. I asked if they had gluten-free, figuring I might just be eating salad. They surprised me by making me a pizza, after asking me what kind I wanted, and then they sent me home with the rest of it–for no extra charge. We felt bad and offered to pay whatever was fair for the rest (I know how expensive gluten-free ingredients are), but they would not take any money. That was an unexpected blessing, so I had pizza for breakfast today:). Jake ate pepperoni off Rob’s pizza, and watermelon. I had one day where Jake and I walked a total of 3 miles, broken into pieces. Another time, we did almost 2 miles. We’ve done other walks, too. I’ve done more cooking in the camper than I usually do because I didn’t get to prepare ahead of time. I’ve used up lots of odds and ends. It’s been fun to get in there and get creative, and fun that we’ve walked so much that I have felt like I could eat a little more and enjoy it! This week has been a week of “finishing up.” Michaela finished up her school program and graduated last night. Alissa and Ja’Ana finished up their schoolwork yesterday, as well. I am almost finished correcting it, as I have worked all week on that project. I finished up some mushrooms that were starting to “go” in omelets one day. I decided that I would not shop this weekend as I usually do, but, instead, finish up some of the odds and ends I found while cleaning. Clearly, we are not short on food:). 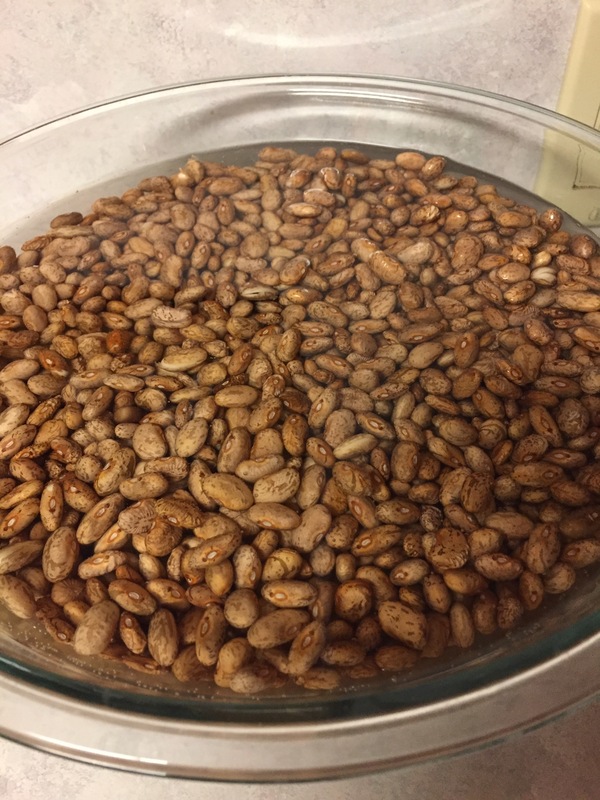 On Thursday, I had a bean-cooking day. I found dried beans tucked away in many locations and wanted to use some. I cooked a package of mixed beans. 1/2 of it I used with a ham bone that had been previously frozen at the holidays to make ham/bean soup. The other 1/2 I cooked plain, and froze for another day. I soaked a huge amount of pinto beans, and threw in a few black beans that I wanted to finish up, added lots of various frozen peppers from 2015’s garden, a big onion that was starting to sprout, salt, and water, and put the Crock Pot on low all day. Last night, I used my immersion blender to grind it up, and today, I’m going to freeze many, many little cartons of refried beans. There is another bowl, much larger than this one, as well. 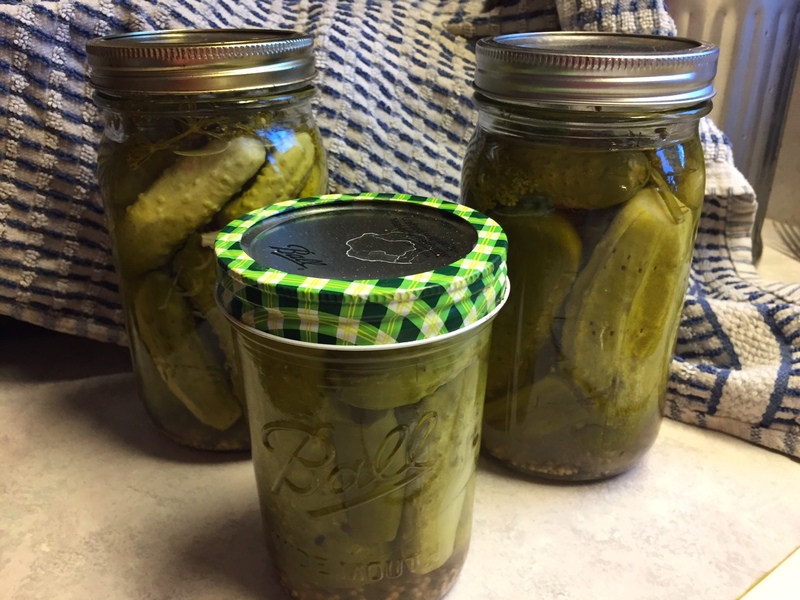 We like the homemade kind so much better, but since I’ve been busy lately, we’ve had to resort to the canned ones, which are still good. I also made a big pot of chili from the rest of the pinto beans. I froze a few small containers of that for dinners for Rob and Patsy when I get home from work late, plus a few of the ham/bean soup. I made more popsicles. 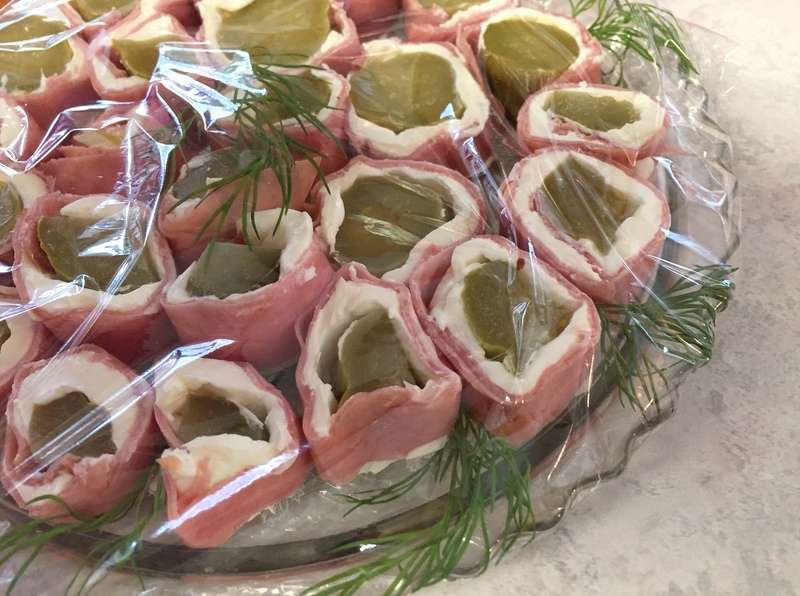 I used some canned pears that I am targeting, along with the crumbled up frozen raspberry bits that always collect in the bottom of the ziplock bags. 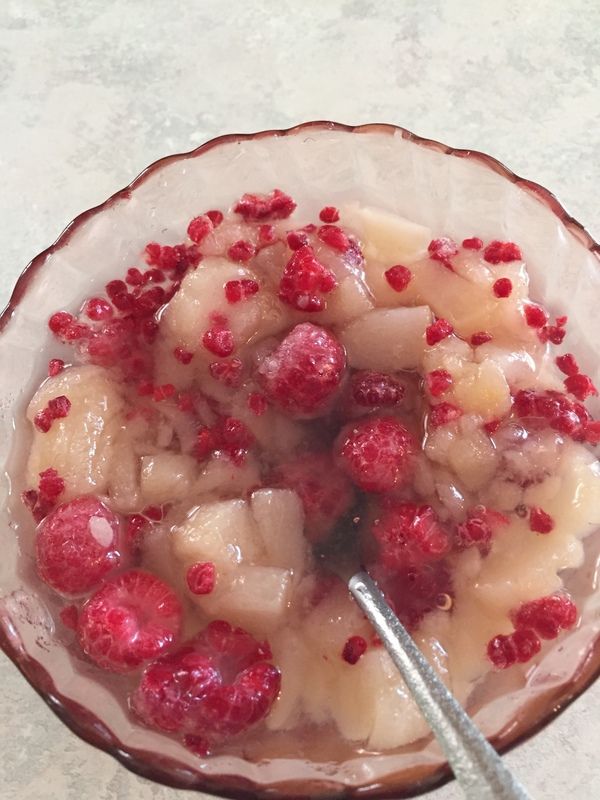 I cut the pears into very small chunks, stirred in the berries, poured some of the liquid from the pears in and added a very little sugar, since the berries are super tart. I spooned it into the molds and froze the popsicles. They were a big hit. I’ve already made them again and anticipate doing it frequently. 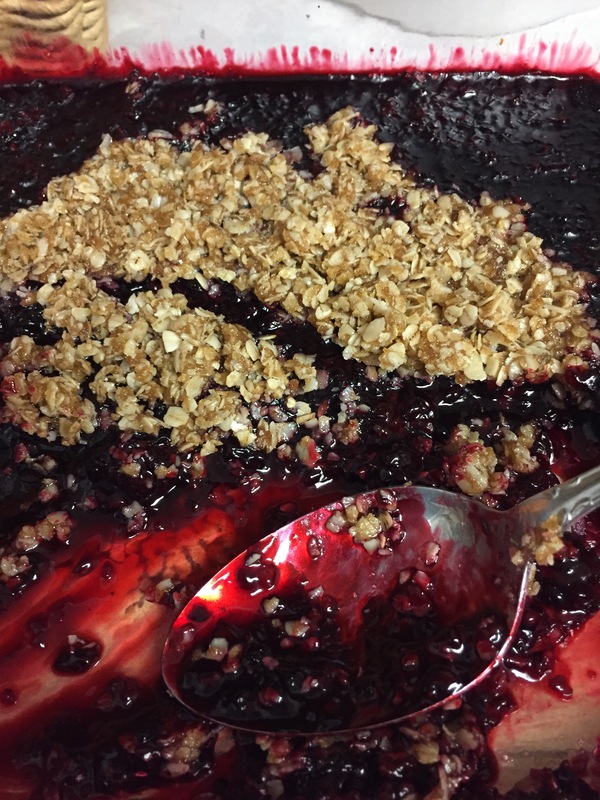 You can see that I used some of the whole berries in the second batch, and they came out great as well. We had salad a couple of times from our garden lettuce. I am so happy to have the storage shelved wiped off and organized. Now I know what categories I need to fill. I often fill things up in the spring, and shop very minimally during the summer. 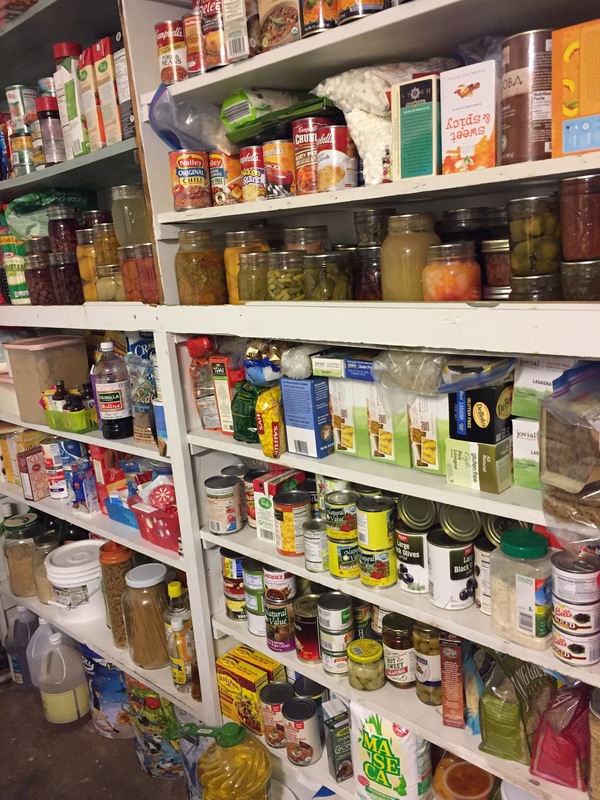 With a shelf full of stored items, the freezers, my canned items, and the garden, we usually don’t need a lot on a weekly basis. 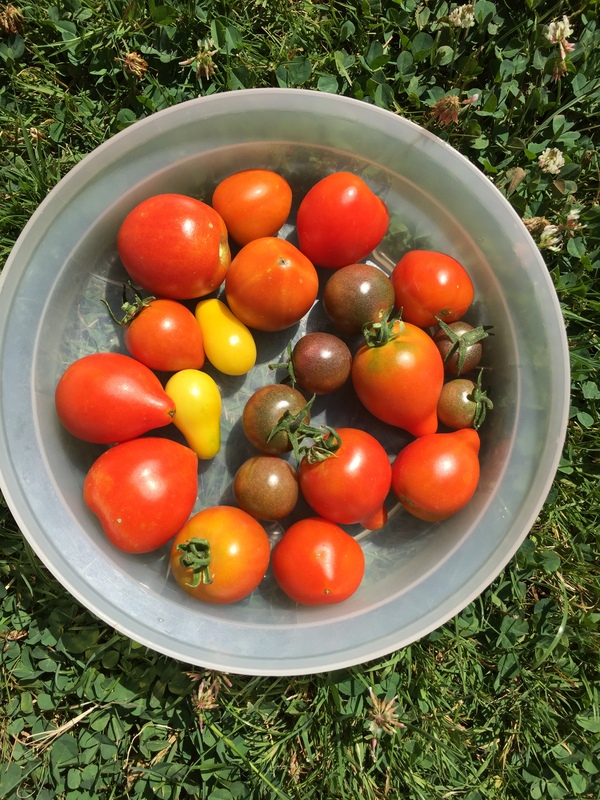 I have to put some money out up front, but it saves me a lot of time and money in the summer because I bought in bulk, and have the garden for produce, so I don’t have to spend time at the stores. Rob and I slipped away and ate at Subway one night. Big date:). But, I’ll take what I can get, and am happy for every moment I can spend with him. I’m glad summer is coming because we will be able to work together with the kids. We have lots of good ideas of things to do with them. The beans were from the garden last summer. The bread was part of a free loaf of French bread we won at Safeway’s Monopoly, which I sliced and froze after we won it. The sauce was canned, purchased at Grocery Outlet for less than a dollar. 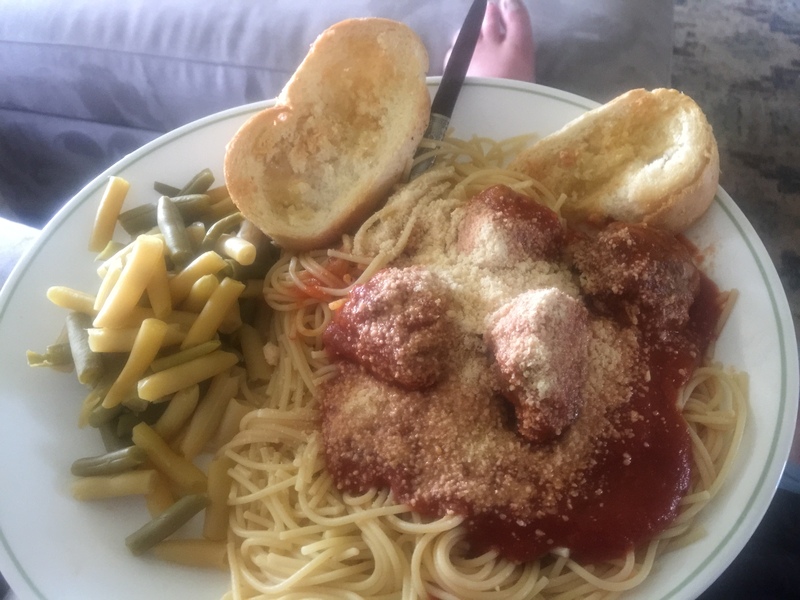 The meatballs were home-made and previously frozen for a quick dinner. The noodles were gluten-free spaghetti, purchased for $1.47/box on sale in the past. 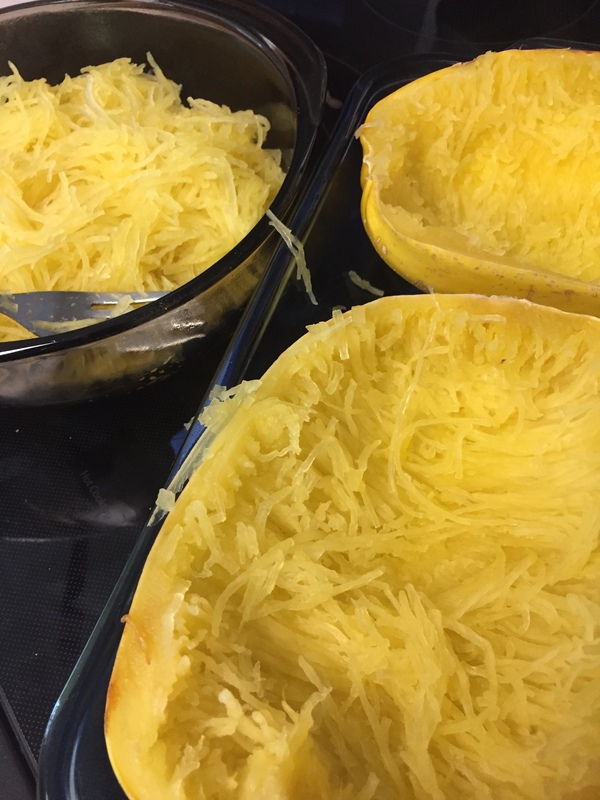 I cooked a spaghetti squash today. For lunch, I ate meatballs and sauce on spaghetti squash noodles. For dinner, I chose the gf pasta. There was enough of the meal for lunch for me, lunch and dinner for all of us, and lunch for Rob tomorrow. I made split pea soup from the ham broth I boiled down last week. Patsy ate tortillas by the fistful. Thankfully, I got so many on sale a couple of weeks ago that the supply is still strong. Rob barbecued both chicken drumsticks and hamburgers. We ate home-canned dill pickles, green and yellow beans, jam, peaches, applesauce, salsa and home-frozen corn. 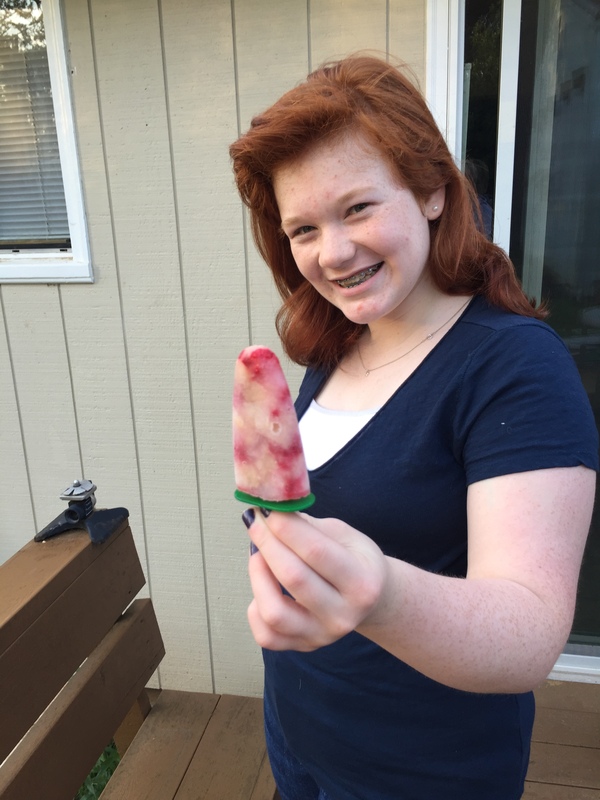 Snacks: I made apple juice popsicles. Patsy made applesauce muffins. Lovana made popcorn. Lunches: Sandwiches, gf frozen fish sticks, salad, corn dogs, hot dogs, leftovers. Rob takes leftovers every day in his lunch. We cook extra in anticipation of this. For instance, we cooked a whole pound of hamburger into patties, ate some for dinner, and he took the other one for his lunch the next day. 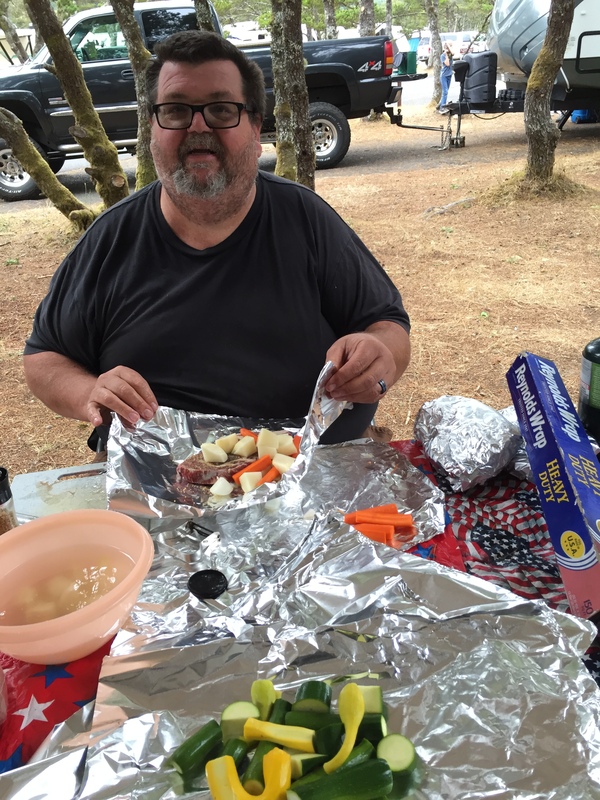 He cooked a family pack of drumsticks and we ate them for several days for dinners and then lunches. 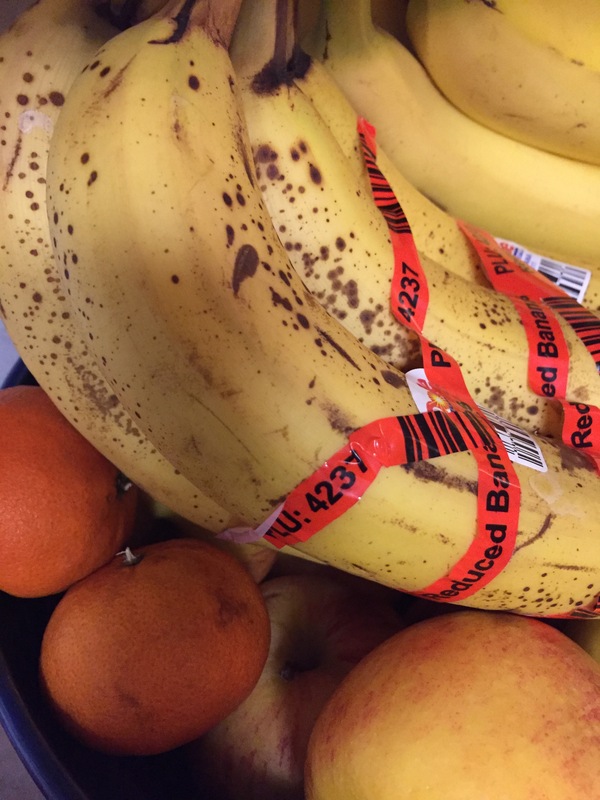 Plans for the week to come: I need to do something with these reduced bananas. I’m thinking banana muffins or banana bread. The apples beneath them will become chunky applesauce with raisins and cinnamon. They have been there for a few weeks and are not so crunchy any more. My sister had an abundance of tomatoes left over from last week’s brunch. 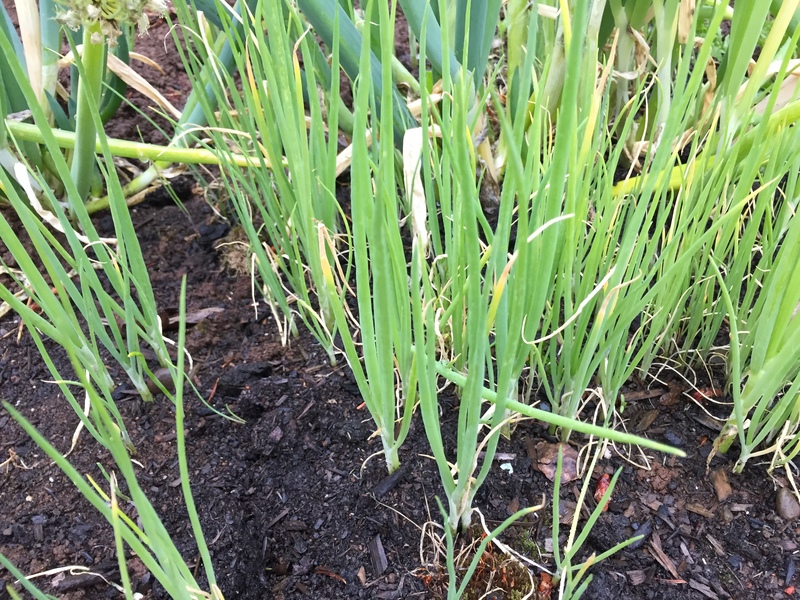 I have cilantro in the garden, which came up volunteer next to the compost heap. I will get some jalapeños tomorrow and make Pico de Gallo. I will continue to pull items from the freezer and cupboards to use for meals this week. If I get time tomorrow, I want to jot down a few ideas of things I or Rob can make in a hurry, as this next week is pretty busy. It’s working pretty well to pre-make some things for Rob to warm up in the evenings, since I don’t get home from work very early. The other thing I sometimes do is set items out on the counter with instructions. He can cook extremely well, but is often tired and out of inspiration when he gets home from work. 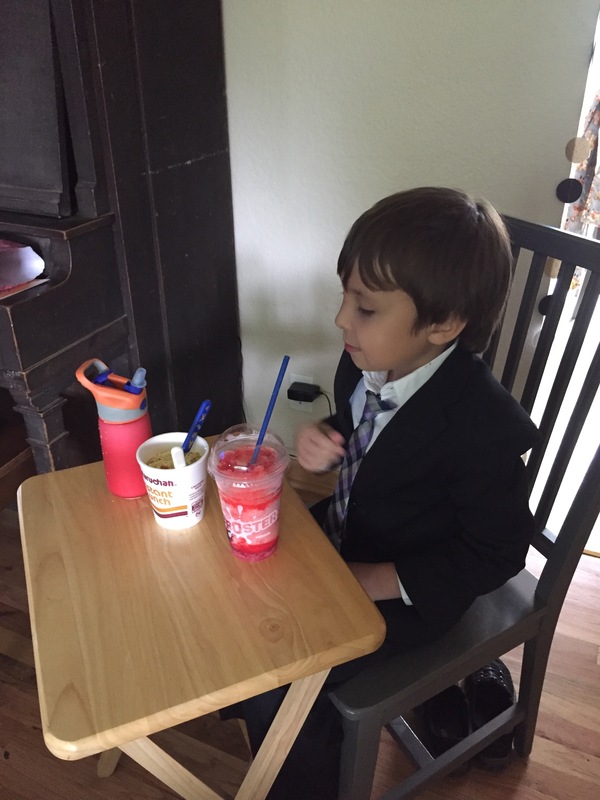 So, if he can grab and microwave, or do some simple tasks and get dinner, it works well. For me, it takes longer to think up dinner than it does to cook it, at least a lot of the time! I went to the store yesterday to get milk, and while there, shopped for the week, at least that was the plan. I did not buy things for any specific recipes, but instead bought what was on sale or things on my list I ran out of this week, and I will meal plan around that. One notable purchase was 3-2 lb bricks of Tillamook cheese for $5 each. You had to buy 3. Usually you have to beg to get 1 at that price, so I was delighted and got 2 cheddar and 1 Colby-jack. Cheese lasts a long time, so I may go back and get more tomorrow, since I already have things on the list–(like half and half)–crazy!! I WAS JUST THERE!!! The plan was to get in, get out and stay out until next weekend!! So much for that plan. I’d better be disciplined when I go back in that store!!! 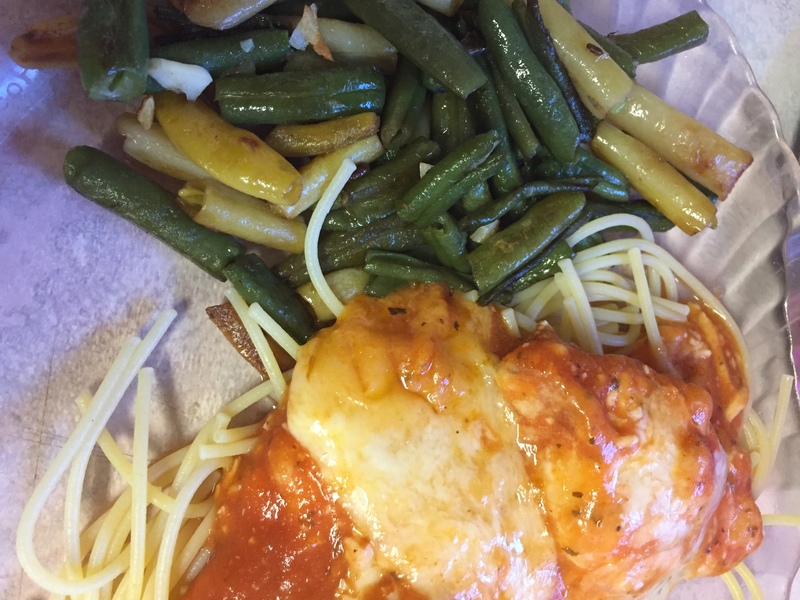 We had lots of great food this past week! 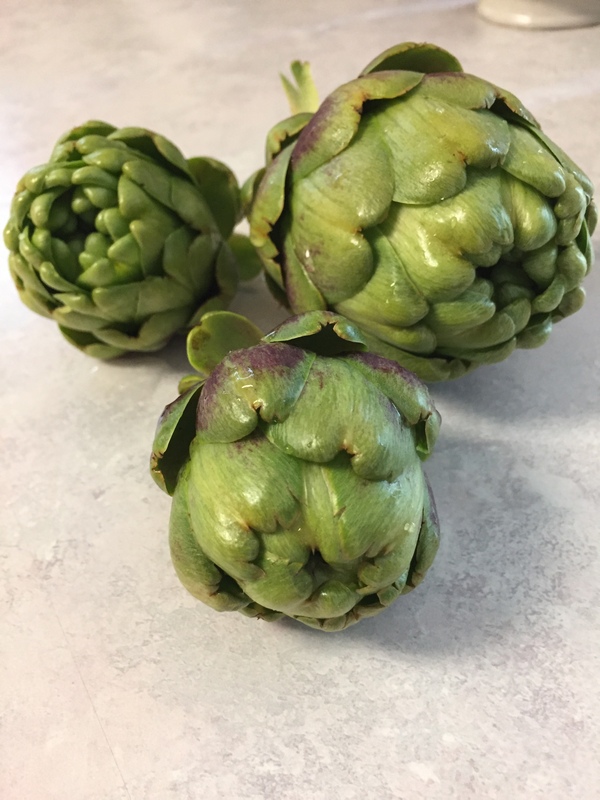 My most exciting thing were the artichokes from my plants in the garden. They were small, but tasty! Patsy and I finished off all 4 (1 not shown in picture), with lots of butter. Yum! I was able to get a large amount of groceries right after I returned from Washington D.C., so really didn’t need much for the family this week. We are still using them along with things pulled from my storage. I did go shopping for fruit and other ingredients for the brunch last Saturday, and also got quite a few free items from Safeway that I’ve been incorporating into the menu. I picked up 2 dozen eggs while I was at Safeway, but then a couple of days later, picked up 5 dozen at Costco for around $1/dozen, a better price. We eat a lot of eggs, so I’m glad to be stocked back up. 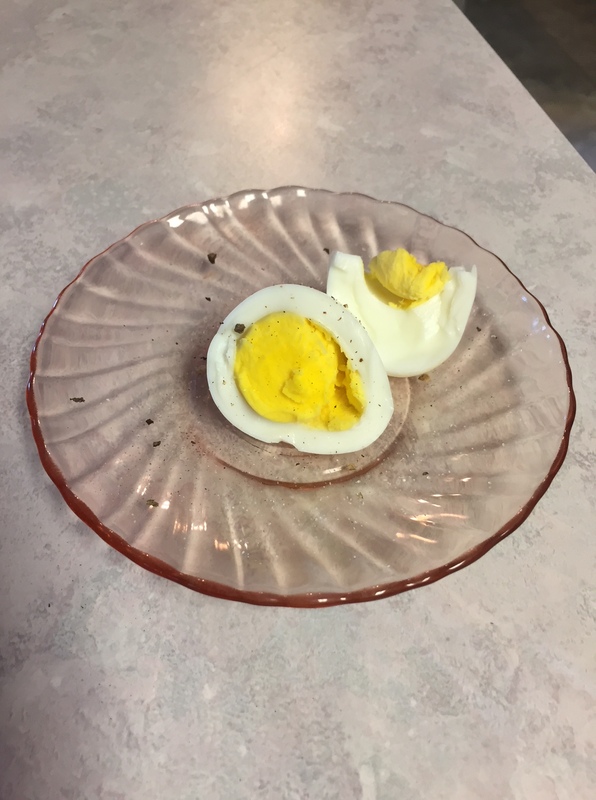 I boiled a few more, as I usually keep boiled eggs on hand. I grab them for quick breakfast food and for something to grab for a snack or lunch. 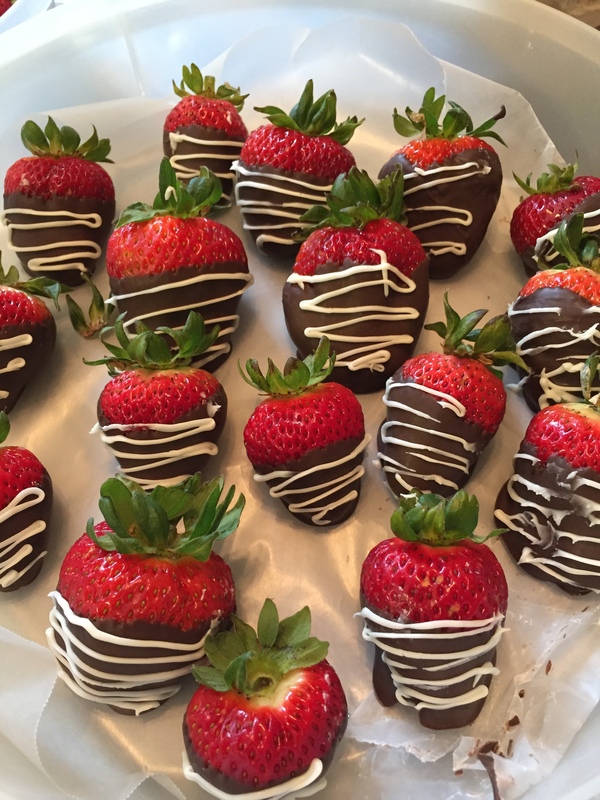 Of course, those strawberries were one of the highlights of the week. People at the brunch gobbled them up. We’ve been pulling items from the freezers and cupboards and pantry in the garage. 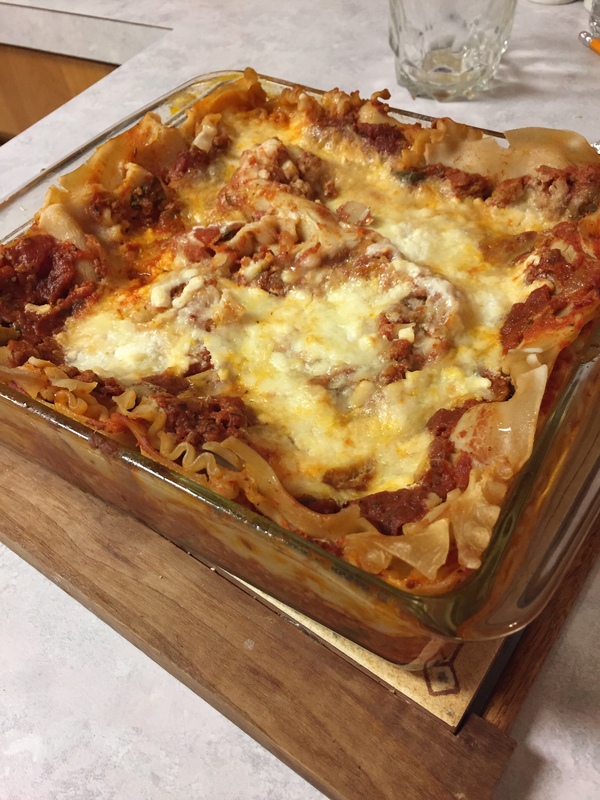 I made lasagna with a few noodles I had left in a box, and 1 layer of a yellow squash I made into flat noodles, some frozen spaghetti sauce I had previously made with a free Safeway can of tomato sauce added in, and some frozen cheese mixture I found in the freezer. It used up lots of odds and ends, and we are still working on the pan I made (this picture is for illustration purposes only, it’s from another time–it had more noodles, this one had that summer squash in it instead of part of the noodles, but they look basically the same). My bean supply from last summer seems to be growing! Not really, but although we keep working on it, there are lots of jars and frozen containers left. I will grow less beans this year, but I sure enjoy them. We had them a few times this week. We also ate some frozen corn. Rob BBQ’d steak from the cow we bought last fall. 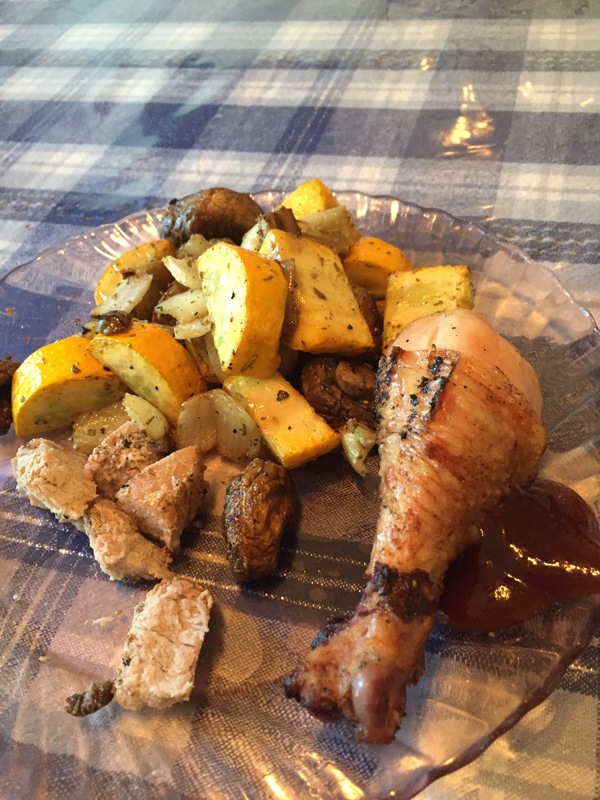 I made a whole chicken and used it several ways. I made Sloppy Joe’s with a packet Safeway substituted for gravy that was my free item. I added so many things to it to make it how we like it that I won’t bother with the packet next time–just make it from scratch like I usually do. Still, free is a very good price and I’m grateful to have won the packet. We had salmon from a package I bought on $5 Friday. I had a couple of gluten-free fish sticks I had in the freezer. We had lots of salads. We ate pancakes that had been frozen another time, biscuits from the freezer, and several other odds and ends I pulled out. I am starting to see a little wiggle space in the kitchen freezer, as well as the shop ones. I had a pre-baked pizza crust getting dry in the freezer, and so made a simple pizza with a little Sloppy Joe sauce with mozzarella cheese on top. Patsy ate some of that for dinner with her artichokes and salad. 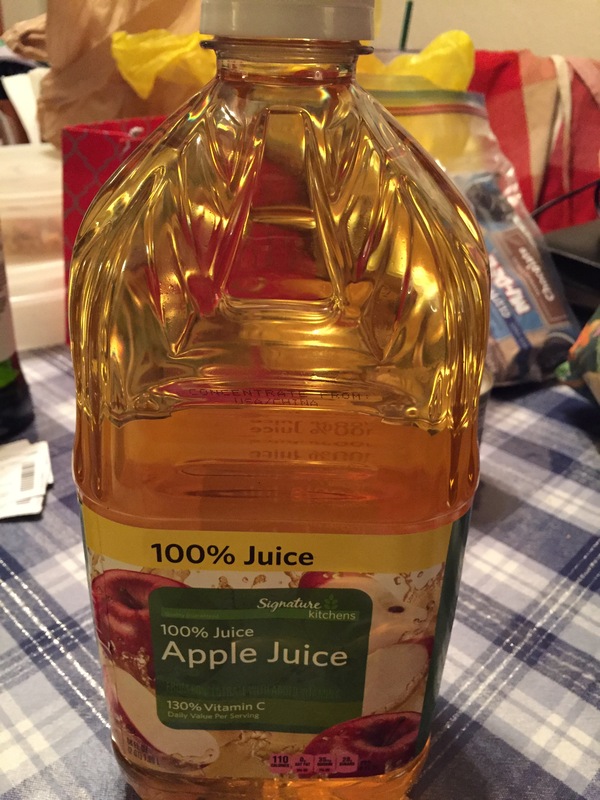 Everybody has been enjoying the 77c/bottle apple juice. In the end, we bought 17 of them, between Rob and I. I have also been making popsicles with it, in my molds. The kids love them, and it’s something Jake will eat that is healthy. Patsy made a batch of brownies. I was eating too many of them, so froze most of them and carried them out to the shop freezer. We used up the Southwestern beans I made for the brunch last Saturday in tortilla shells, and there were a few quesadillas made by various family members this week. I made potato pancakes from leftover mashed potatoes, an egg, and 2 green onions. Some of the food items in the fridge are starting to be used up, but the yogurt supply remains large! We got so much, for so cheap during that big shopping trip. I want to clean out the fridge and keep using odds and ends from other places before I buy many groceries. I plan to make chicken soup tomorrow out of the remaining bit of chicken. There’s lasagna left. There’s some leftover steak, and baked potatoes. There’s lots of lettuce for salads. There’s yogurt and sour cream and lots of eggs. We will use up the leftovers in the next couple of days. The milk supply will run out in a couple of days and I have extra kids this weekend, so need a few things for them to eat, so I will shop a little bit this weekend. I will go back to Safeway, as I have a small handful of free item coupons to redeem. The checkers have been very generous with the tickets, as the game is almost over, and the kids love opening them. I love getting the small prizes, and have coupons for tuna, more gravy mix, bagels, a donut, and more tickets. The awesome thing, is that they keep giving me more tickets when I redeem the free items! Then, I win more free things! I did buy a few items for my sister, and a couple of things I needed, because I understand that they have to make money somehow and I think it’s fair to do so, and the items were needed. So, win-win for everybody, especially Michaela who has gotten to eat 2 free donuts so far:) I took her to the store one day, and Jake another day, and practiced looking at prices, finding the items, talking about the difference between a good bargain and a bad bargain, and so on. They were both good outings. Jake started opening the tickets in the back of the car until the seat was littered with the little bits of paper he tore off, so then we had a lesson in cleaning up the car. The garden will be giving me some lettuce soon (in the greenhouse), green onions are growing, more artichokes will come, parsley and cilantro and basil (in greenhouse), and there are tiny beets, carrots spinach, and lettuce growing nicely. I have much to do out there, but it’s started anyway. I did not get over the flu, or whatever it was, as quickly as I wanted to. Of course, to be honest, I have no patience for sickness and want it to be over with on the first hour:). But, even for me, this crud has lingered longer than normal. I stayed home for a solid week. That’s very rare for me. I did not cook very much this week. Rob did everything last weekend, and I joined in as I got better. My sister sent some soup and my aunt, hard boiled eggs. I had both of those. Rob got some Chinese food when I first got sick. I did not appreciate it as much as I usually do, but later, when I was a little better, I ate the soup a few times. He and the kids slicked it up, and he finished it in his lunches. 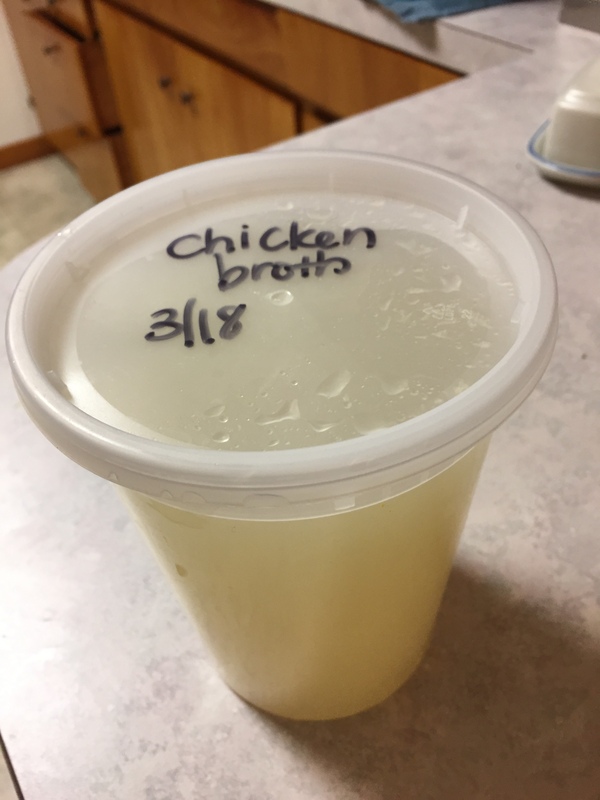 There is 1 quart of broth left, which I froze. I had some turkey left from the 20 lb one I cooked last week. Most of that ended up frozen for future meals. I made enchilada casserole, using corn tortillas and a can of sauce. I’m so thankful I purchased another can when the one I had was used. It really came in handy when I was not feeling well to be able to make dinner fast. It went back on the list right away. The kids made endless quesadillas from cheese and tortillas. Good thing Rob got 10 pounds last weekend. You would be amazed and a bit horrified at how much cheese got used this week, but thankfully, there’s lots left. We cooked a frozen gluten-free pizza for me . Last weekend, one of the kids bought pizza and they ate that. 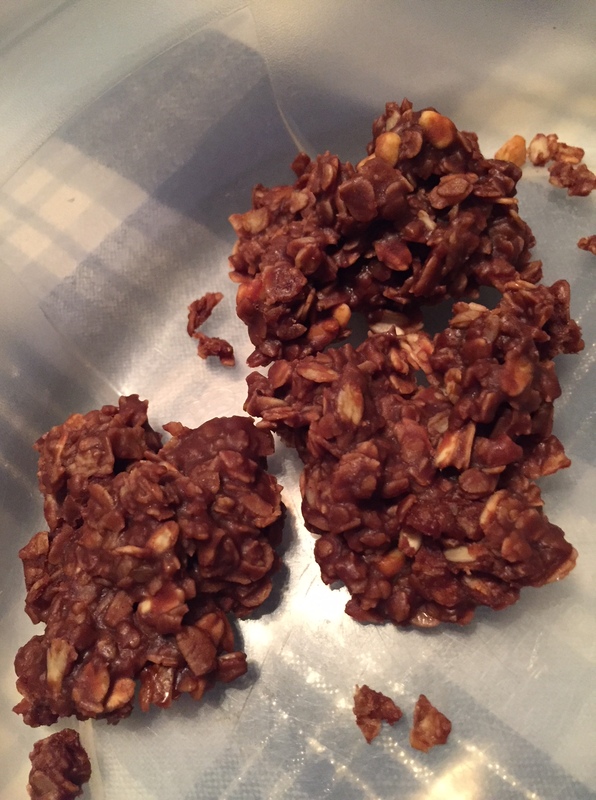 I made a batch of no-bake mountain bars last evening. We had salad a lot. It was fast and easy. We cooked a few green beans, as well, and Patsy ate quite a bit of applesauce. I baked some potatoes and we ate them for several days. It wasn’t a banner week, but we got through it with a few compromises. Rob got through the 3 days he needed to work before getting off for spring break. He always packs a lunch. His choice is the school cafeteria, and he often doesn’t get his lunch breaks at a predictable time. He feels the school food is overpriced for what small amount he would be given, and also it is highly processed food for the most part. So, he takes food with him. We usually count on leftovers to fill his lunch pail. I’m glad we made it through the week as well as we did, and am looking forward to a super fun week ahead, full of spring break activities and fun! Less than a week ago, I was blithely posting about how I wasn’t going to shop much this week–I didn’t need anything–and so on. That’s not how it turned out!! Last Saturday, I thawed pork with the intention of making Asian pork meatballs, a new recipe that called for water chestnuts, for the week ahead, as I often do. I only use about 6 cans of water chestnuts per year, and last time I checked, I had some. On Sunday, when I went to get them, I didn’t have them anymore. Other people cook when I’m not here, and I’m very thankful they do, so this was not a tragedy, just a bump in the road. Then, I noticed the A1 sauce was gone. The Worchestershire sauce was nearing the bottom of the bottle. 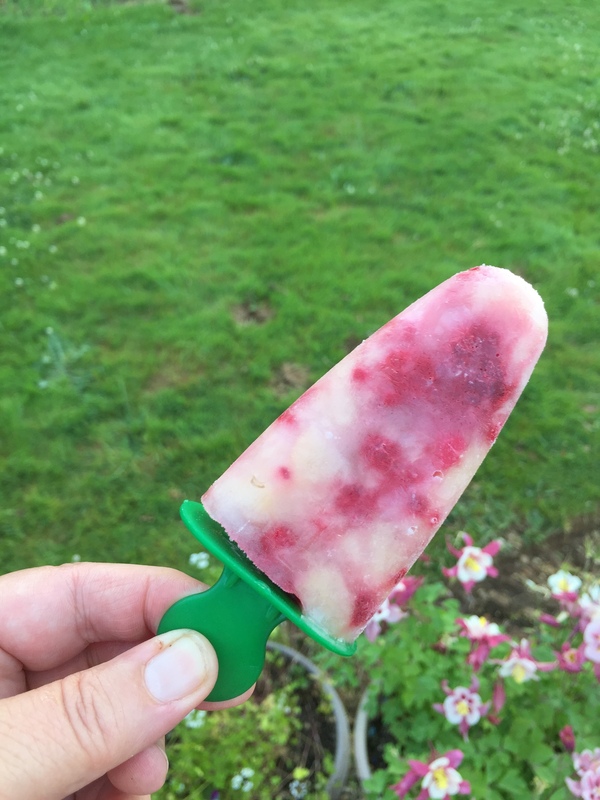 The maraschino cherries were completely gone, even the juice which was used in popsicles. We were down to the last bit of bread. It became almost comical as I realized the peanut butter was again almost empty. The mustard was almost gone. The pineapple chunks were gone. As I checked things over, trying to cook for the week ahead, I had to just laugh! What are the odds of all of that running out in the same week? I found that the Safeway app had a coupon for the laundry soap I always buy, for $4.75 per container. I have paid from $11.99-14.99 on numerous occasions for the exact same container, so I though it was a mistake. But, since I wanted to get the 2 packages of chicken breast for $1.49/lb that I was allowed, I headed over there after church on Sunday to check it out while I bought chicken. (That is a really good price around here for the chicken). The packages were huge, and I ended up with around 15 pounds of chicken–more than I expected to be allowed to buy. The soap was not a mistake, so I got 4. I repackaged and then froze the chicken, so we will have many meals from it. I had a raincheck for bread, for 99c a loaf. Water chestnuts were 99c/can, so I got 5. We got Michaela a Coke and a donut–lucky girl–because you don’t break tradition without a good reason with that girl:). I saved enough chicken out to make the stir-fry in the first picture, and the chicken parmesan in the second picture. The Asian meatballs turned out great, when I finally made them Monday morning. Rob made a large pot of white rice, which was used up this week for meals. I just finished the last of the Jedi burgers tonight. The extended family was very hungry on Sunday, and used up most of the food I had made and what was brought by others. We had soup, enchiladas, chips, and mountain bar no-bake cookies. I had a little chicken-rice soup left for the week, but very little. It’s gone now. Rob shared that he needed lunchmeat and lunch stuff for the week ahead. I hadn’t realized that, so we went to Grocery Outlet and got a bunch of that kind of thing, snacks for his classroom (he’s an instructional aide and they give food out frequently–he takes things when he finds them cheap), and some produce. Once we realized that we were shopping after all, we decided to get as much as we could for 2 weeks, and skip shopping this weekend. We made a good list, emptied out the remaining money in the grocery envelopes and spent it! 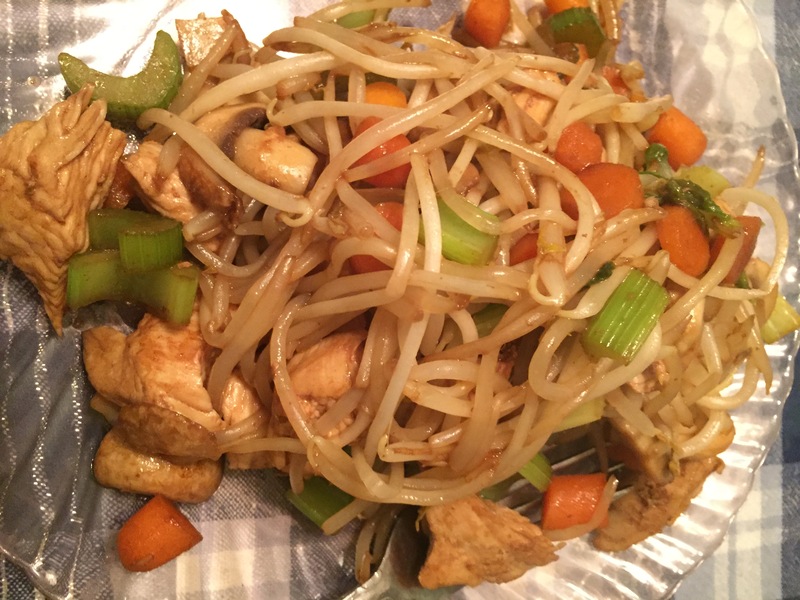 When you cook at home as much as I do, some of these flavorful items make the food more palatable and less boring, which keeps us eating at home. Also, the family ate things up, and seemed hungrier than usual (sometimes it happens). So, I needed more of those often-used items as well as the rarely used ones. I had grocery money to spend. I wasn’t shopping because I couldn’t, I really thought I didn’t need this many things. (I must be blind or kind of dingy!) I knew the fridge was pretty bare, but I was trying to empty it so I could clean it! 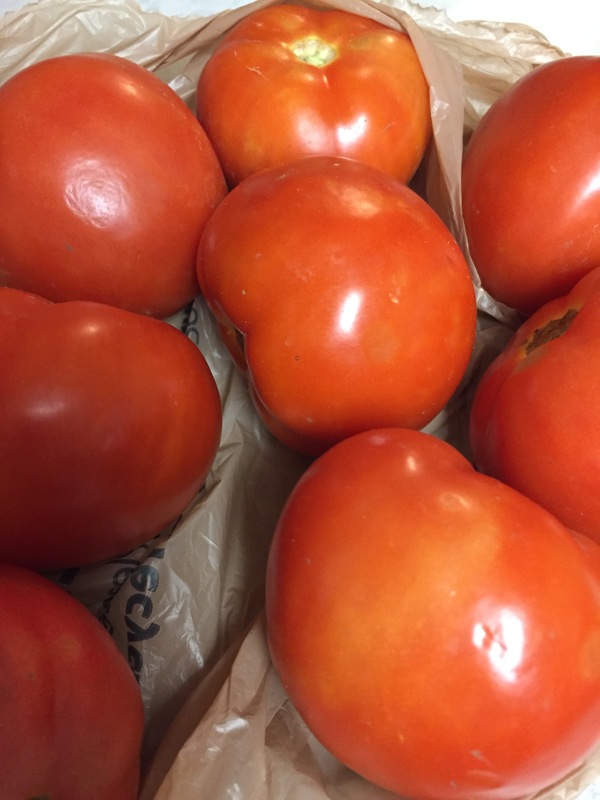 (It’s very clean after the salas explosion last Saturday) If I had not had any budgeted money left this month (mine goes from mid-month to the next mid-month), I would have waited for things like maraschino cherries and focused on produce, bread, dairy and peanut butter. I would have skipped some of the fresh produce, and used more canned and frozen. I would have continued pulling items from the pantry and freezers for meals. Now that I’m out of the amount I budgeted, I will choose to wait until I get paid again to load the envelopes up again. I did save out enough for 1/2 and 1/2, pineapple and milk, if needed. Since I get paid in the next couple of days, we will not suffer a bit. (It was easy to cruise through this week, as well) I was able to pay off the bills I wanted to pay–the braces are completely paid for! Hip, hip hooray!! I won’t have any extra money to roll over to next month like I did last time, but I can live with that. Sometimes, you just can’t plan everything out perfectly, and things don’t work out the way you planned. But, going with the flow is a great skill to have! I am very grateful that I had the privilege of being able to fill up my fridge and restock my pantry. I’m very aware that I’m blessed to be able to laugh instead of cry when things ran out. I’m happy that people can have food they want, as well as food they need, and that we have more than enough. For these things, and more, I am truly thankful. I never want to lose sight of those things in the midst of my little self-imposed challenges! They are fun for me to do, and help me make budgeting fun instead of drudgery.